Locus Robotics, an autonomous warehouse robotics company, announced that it has developed a system that allows warehouse robots to communicate with each other. Locus Robotics’ newly developed system called “Locus Robotics Advanced Navigation” (LRAN), which uses Locus’s autonomous robotics navigation software, allows multiple robots to complete their tasks in a coordinated fashion, while navigating through congested spaces and working alongside human workers. According to the company, each robot is automatically linked to a system and shares the same information such as locations, travel routes, and performance reporting. 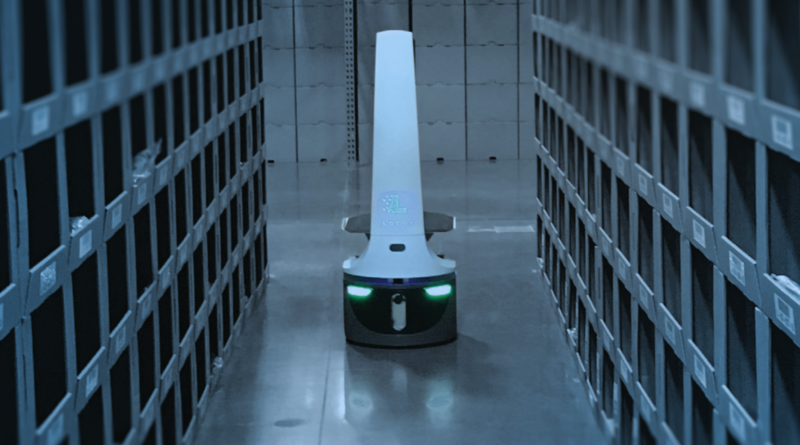 Navigation (LRAN) system, we can support large numbers of robots operating seamlessly and collaboratively alongside workers in a warehouse,” Rick Faulk, CEO of Locus Robotics, said in a statement. Locus Robotics debuts its collaborative and autonomous robots at the ProMat 2017 Show in Chicago – a material handling logistics show. Karen Leavitt, chief marketing officer of Locus, said that they have designed the Locus Robotics’ booth at the ProMat 2017 Show to look like a small warehouse, demonstrating how the company’s multiple robots complete their tasks, while working alongside humans.